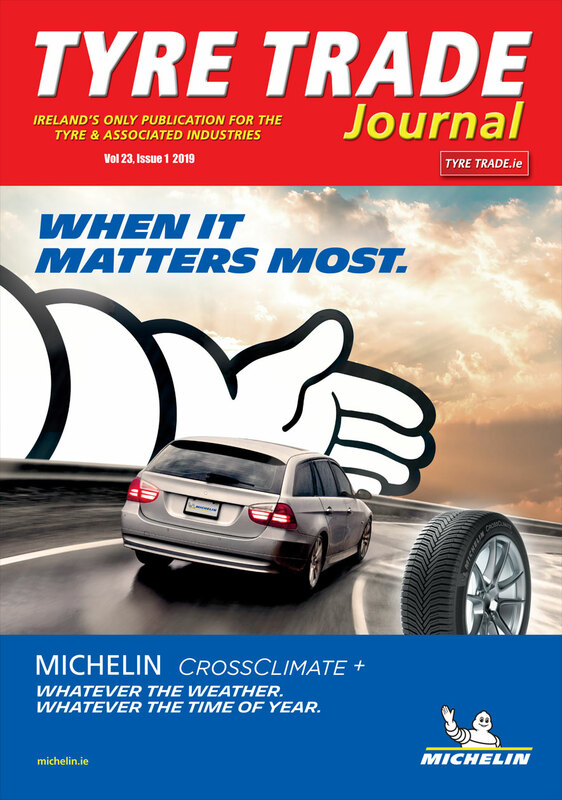 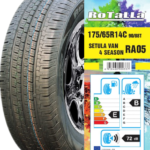 Is fleet tyre management still relevant today? 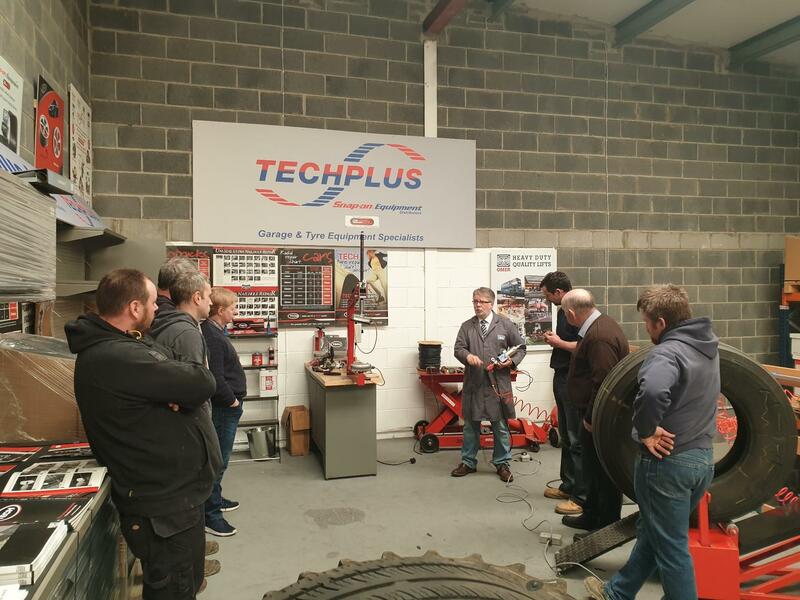 With pressures on today’s operators increasing from driver shortages, fuel increases and ultra-low emission zones, keeping costs under control is even more crucial. 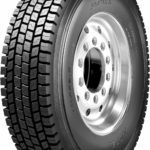 Leicestershire-based logistics company, C.S. 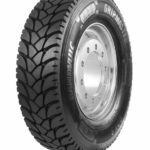 Ellis Group is one of the first in the UK to fit the new Michelin Tyre Pressure Management System (TPMS) Heavy Fleet, pioneered by technology firm Wheely-Safe, an official licensee of Michelin. 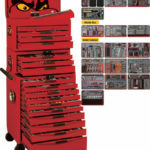 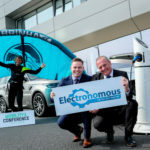 Autopromotec, the international automotive equipment and aftermarket trade show held every two years, is again preparing to celebrate excellent results, this time in its 2019 edition, scheduled to be held in Bologna from May 22-26. 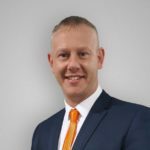 Pneumatic Components (PCL) has appointed Simon Alexander to the newly created role of category manager. 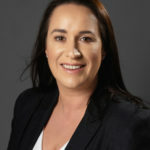 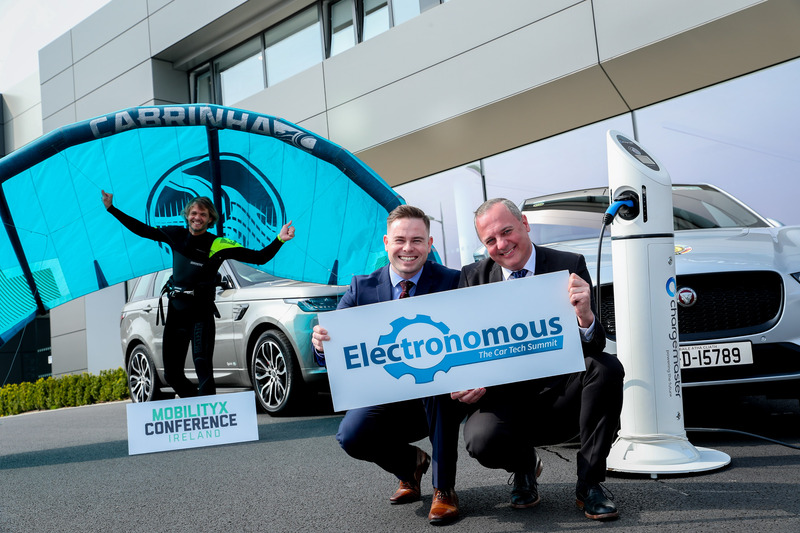 Electronomous, in partnership with Mobility X, has revealed the latest instalment of the upcoming international car tech and mobility summit from May 2-3. 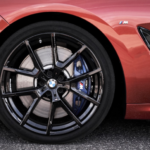 Bridgestone has revealed it is now OE on all new BMW X5, 8 Series and 3 Series releases. 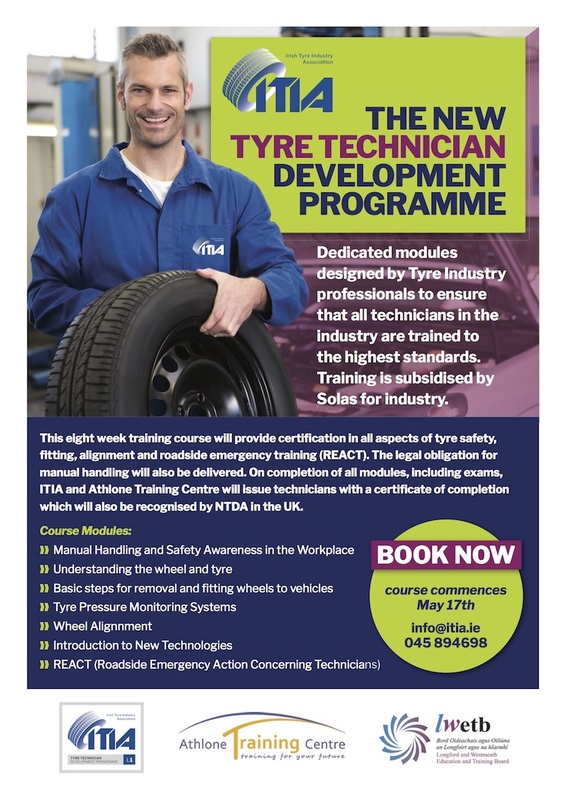 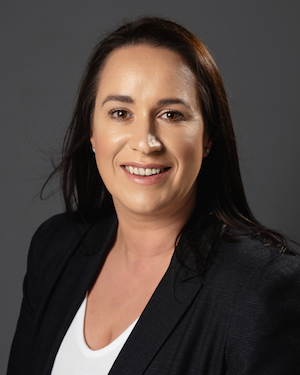 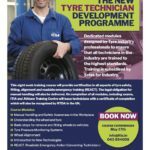 The ITIA Tyre Technician Training Development Programme has been introduced to raise the standard of tyre technicians throughout Ireland and to ensure that all ITIA member organisations are providing best in class service to all consumers. 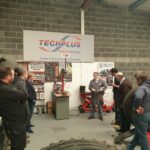 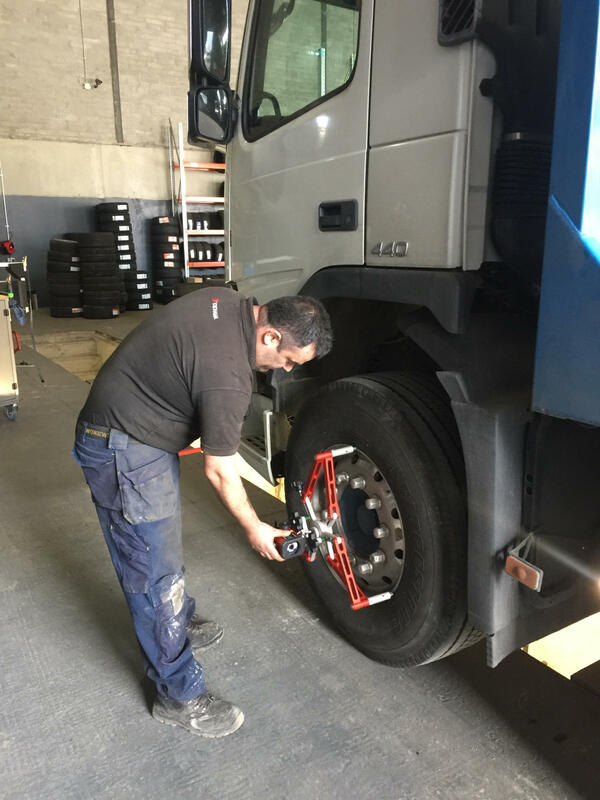 Finnegan Equipment Solutions (FES) recently installed one of Josam’s truck wheel alignment systems into Ballysimon Tyres in Limerick as well as providing training.